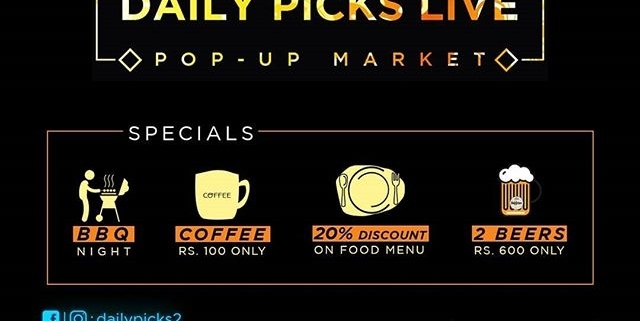 We’d like to welcome you to Daily Picks Live Pop-Up Market organized by Daily Picks in association with @genesiscafe (located @ Panipokhari, Kathmandu), the event happening on 30th January 2019, Wednesday starting from 4 PM till 8 PM. @freedconn_nepal @dochaa.nepal @head_of_the_world @dailypicks2 Specials: BBQ Night and flat 20% off on foods. Also, get coffee at just Rs. 100 only and 2 bottles of beer at just Rs. 600 only. Hoping to see you there with your friends, family, and colleagues. Free Entry waiting for you.